Laser marking, also called laser etching and laser engraving, can be achieved on many metal alloys and plastics. MicroGroup offers laser-marking options to customers requiring company names, logos, designs, dates or part numbers etched onto surfaces of parts. Laser marking is sometimes preferred over alternative mechanical engraving methods where cutter bit heads have to be replaced on a regular basis. 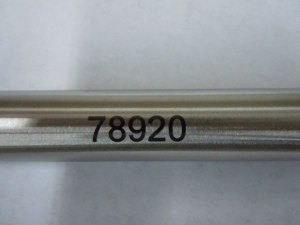 Where physical alteration of a material or part surface by mechanical engraving method is undesirable, the alternative of “laser marking” can be considered.